Archers of Loaf bass player Matt Gentling help me create tonight's two hour radio show. Stream live at www.wrir.org from 7pm to 9pm or tune in the old fashioned way at 97.3 FM on your radio dial for you Richmond locals. Somewhere around 1992 I befriended the Archers of Loaf the old fashioned way. 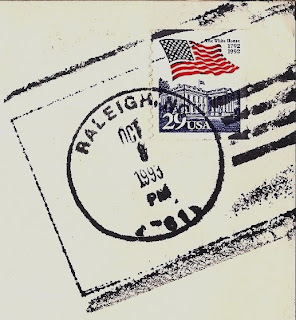 I was working at a record store at the time, instantly fell in love with their first 7" Wrong, and like any new fan did at the time, you wrote the band a letter of appreciation (using whatever address was on the 45) and asked when they were touring. Vocalist and guitar player Eric Bachmann was the one who always wrote me back, including things like photocopied tour dates or a few stickers along with a handwritten band update. This letter writing back and forth led to a friendship by the time they started touring (which seemed like they always were from 91 - 98) and for many of their NJ shows, them crashing at my apartment. 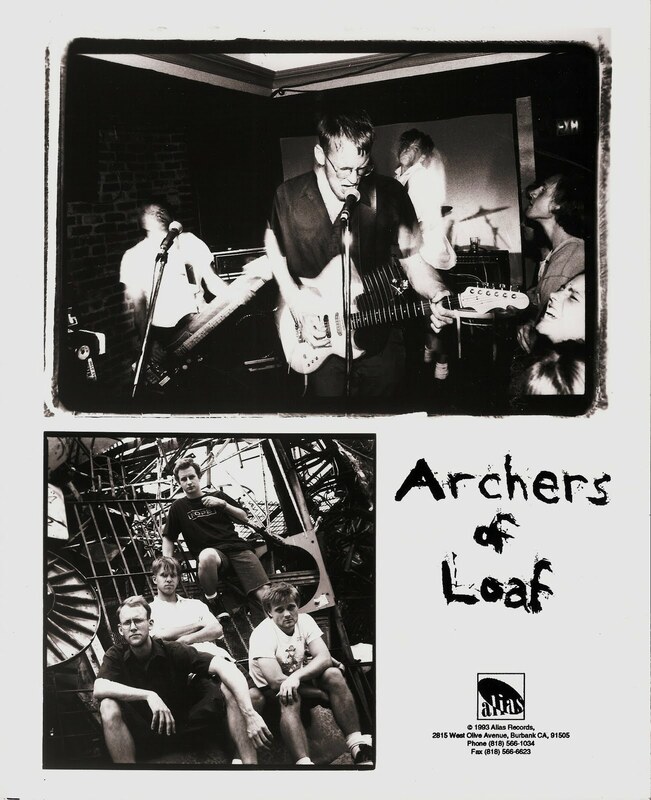 By the mid '90s I must have seen Archers play over 20 times; driving anywhere within the NY/NJ/CT area to see them. Through AOL I met more of the Chapel Hill, North Carolina band people and out of my Archers' friendship grew so many more, like the guys from Small and Pipe to name a few. The Archers are still one of my favorite bands but with them and their music comes so many memories. Random road trips with my roommate to see them play, AOL tour van disasters, comical house stays, ridiculous on stage antics, learning Weezer was not nearly as fun in person as they were on record, discovering Matt is equal parts rock climber as he is band member (I didn't know anyone from NJ who was a serious outdoorsy type person), and truthfully I had never had friends from the South before so they also offered the first taste of real deal Southern accents. I will never forget Matt trying to explain to me that the comic book punch sound of POW was pronounced PIE-OH. I mean of all the important things in the world I should probably be remembering, these are the stupid and random things that stick with me after two decades. The Archers press photo has become an accidental claim to fame for me. The live shot was taken at Brownies in NYC and being the super fan I was, I was in the front row screaming along with every song. It never occurred to me that such a lightning strike quick moment in time, a blissful show moment would be captured by a camera lens no less turned into a press photo and shortly there after, a massive band poster used for tour promotion. For a few years there I would go to shows (or at the time also be playing clubs) and there I would be on the wall looking like a hungry sexual freak for Bachmann's guitar. The proper band photo included here cracks me up because they look so damn serious and the whole band are among some of the funniest, sarcastic, wittiest people I know. It also features my favorite of EJ's haircuts. 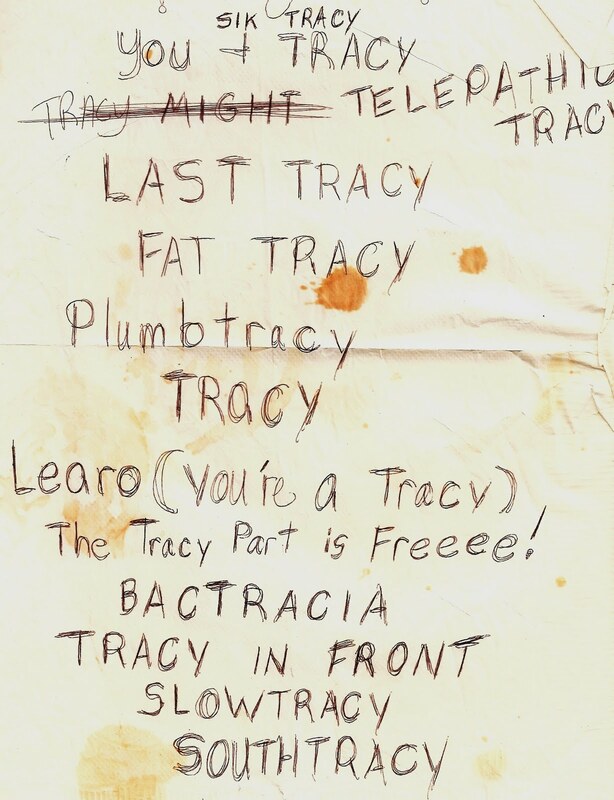 This last image is a dirty paper place mat that Archer's had turned into a set list at Maxwell's in NJ. The show was in November and close to my birthday so their gift was to change all the songs to include my name. 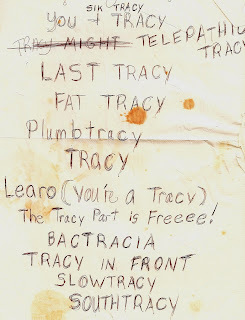 It takes a special girl to appreciate songs called "FAT TRACY" or "SLOW TRACY". Archers of Loaf broke up in 1998 and reading through interviews and talking to a few members, it was stressed for years that a reunion would probably never take place. With zero hopes raised, it was an incredible bit of good news to hear that in fact they would be playing a small handful of shows this year. AOL will be playing a sprinkle of dates Spring into Summer and with that news it seemed like the perfect time to put together a special Cause & Effect to celebrate. There will be a few more fun things happening around the Archers of Loaf this year but I am under strict orders to NOT share the news yet so you will just have to stay tuned for an update. I can tell you that it is GOOD news. A huge thank you to Matt Gentling who was kind enough to host myself and my fella for a weekend in lovely Asheville, NC (oh how the tables have turned) and offer up a list of bands and songs to play for tonight's show. The Facebook invite for tonight's radio show is here. I am pretty sure this is the song Archer's were playing in the promo live shot.